Specimen 8cm x 3cm The velvety sheen of this malchite specimen is caused by a myriad of fine needle crystals that have formed around a nucleus. The green Copper Carbonate was found in the far north of Australia near the former mining town of Rum Jungle. 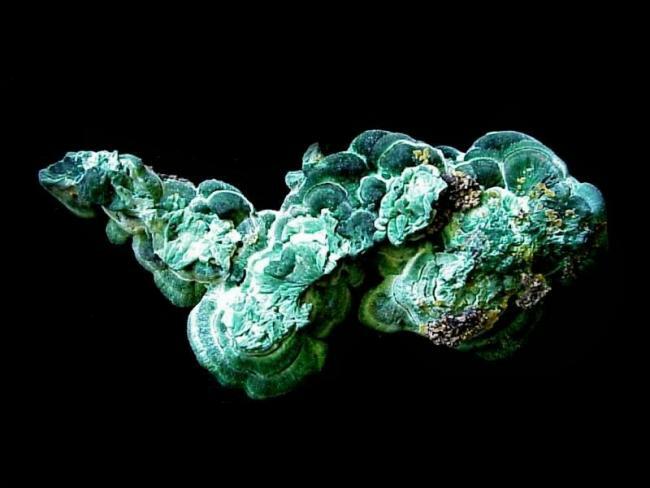 At Brown's Prospect large masses of Malachite, Cerussite and Pyromorphite were found in a rich surface zone, and are highly sought after by collectors.